Having pets in the home can bring so much happiness yet so much pain. No matter how obedient and trained your dogs are, they are bound to have an accident on your carpet. The smell and stain that is left with dog urine can be nearly impossible to eliminate. What makes it worse is that pets smell where the urine and continue using that same spot. 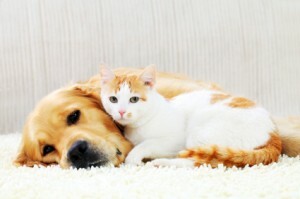 It is very important to remove pet stains from your carpet right away so that they don’t set in and attract your pet. 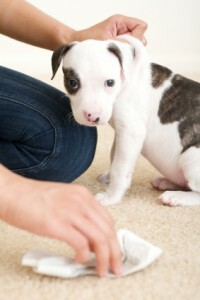 Our special pet stain and odor removal treatment can remove the stains and odors that have settled into your carpet. There are dozens of expensive products on the market that promise to remove these stains. In reality, many of these don’t work and you end up spending time and money. Our professionals can go out to your home and thoroughly clean and remove stains and odors from your carpets. It is important to have your carpets professionally cleaned so your family can live in a healthy environment and you don’t have to walk into a home that smells like dog urine. Eliminating pet stains and odors will also help decrease the amount of accidents your pets have indoors because they will no longer smell their previous urine. Our carpet cleaning services will work miracles with your carpet. If you live in an apartment, you can save yourself hundreds of dollars by having our professionals clean your carpet before you move out. Our services will ensure that your carpets stay clean and your home smells clean.